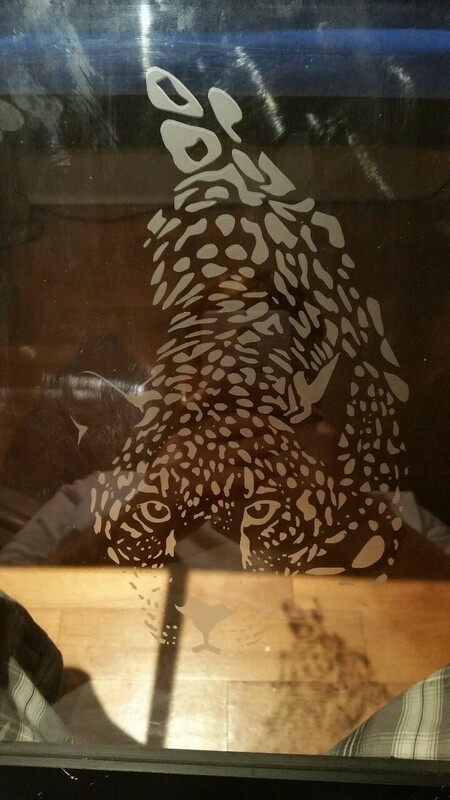 Just another little test, took a leopard drawing I did, and etched it on glass, for some hidden reasons. Now I really need to get some glass cleaner, and possibly some machine to do the cut outs for me, that made my hand cramp up. Like how you are using different forms in your art besides traditional canvas and paint.